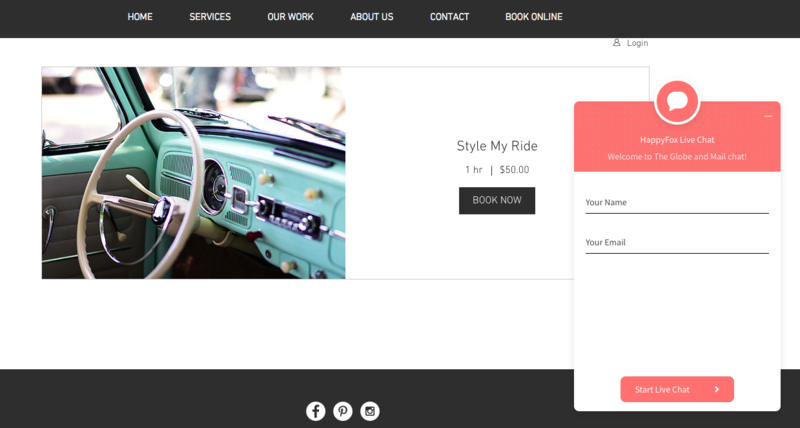 Step 1: Login to your Wix account and click Manage site > Edit Site option. Step 2: Now click on + (or) Add icon on the left side. 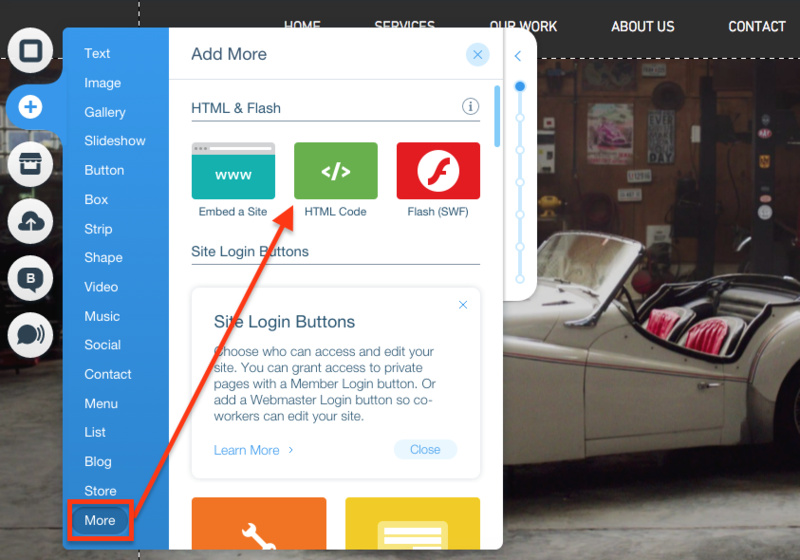 Step 3: From the drop-down menu choose More > click HTML Code option. 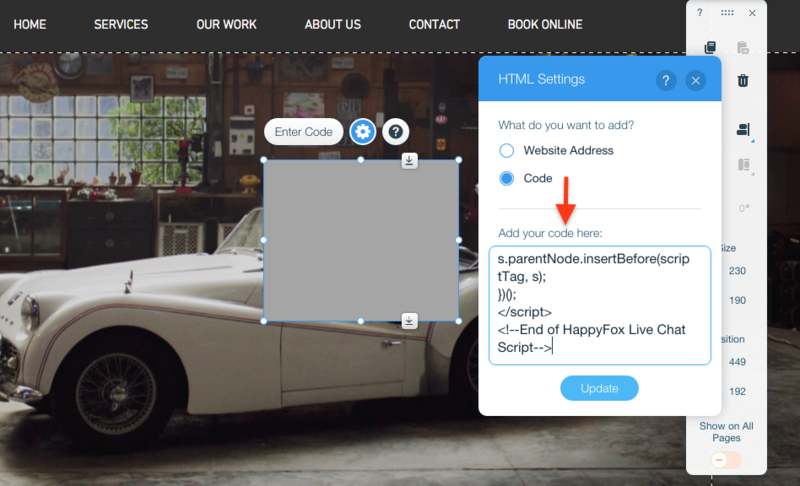 Step 4: On clicking HTML code option, a wire-frame pop-up is added your site. 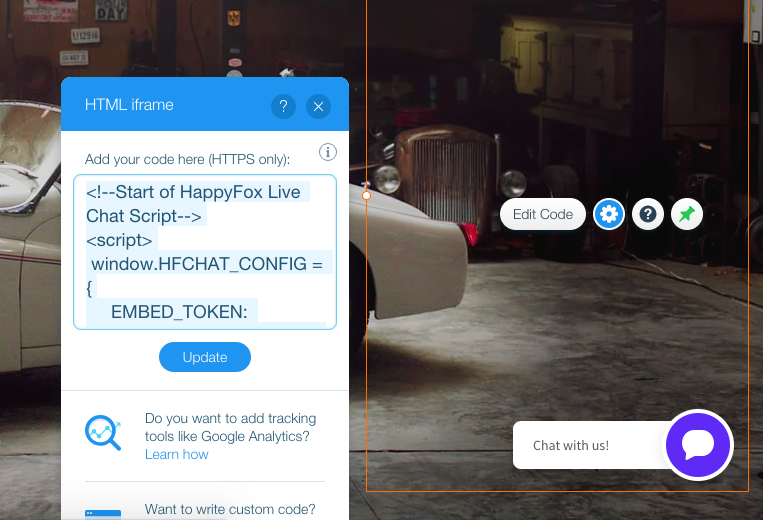 Enter the HappyFox Chat Installation Code into it. Note: Once you paste the installation code, you will see the chat widget. 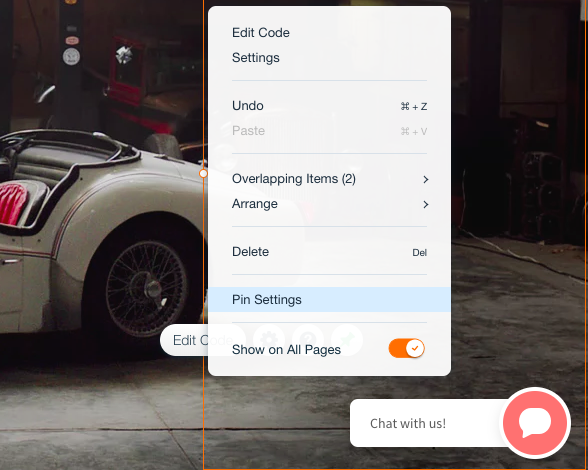 Drag and expand the frame of the widget so that the chat box is not cropped on the website. 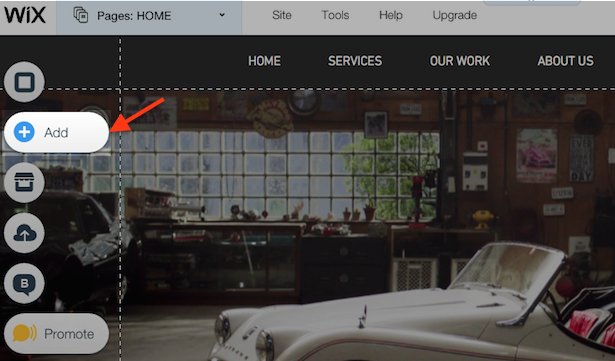 Step 5: Right-click on the widget and click Pin to Screen option to pin this widget to the preferred area of your site. And turn on Show on all pages. Step 6: Once you are done, click Save and Publish option. You are all set!